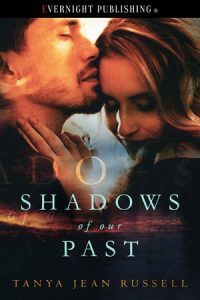 I’m currently organising a blog tour for Tanya Jean Russell with her romantic suspense novel, Shadows of Our Past. Shadows of Our Past is available now from Evernight Publishing, Amazon UK, Amazon US, and all other good book retailers. The tour runs from 25th – 29th June (weekdays only). I’m looking for five blogs which will host guest blogs or interviews. Review copies are also available.